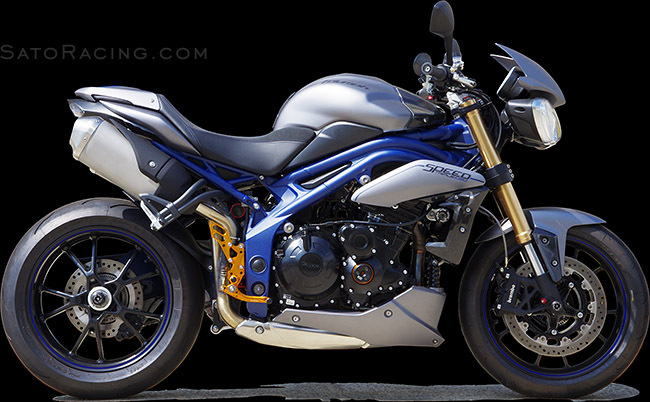 SATO RACING Rear Sets for 2011-15 Triumph Speed Triple 1050 are a track engineered design, precision CNC-machined out of high strength billet aluminum and anodized in your choice of deep Black or vivid Gold finish, with stainless steel hardware. 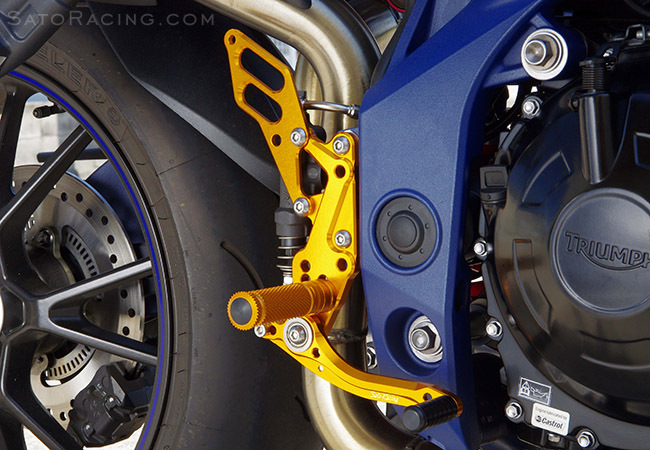 Provides 8 adjustable positions that bring your feet higher up and back compared to stock, helping you achieve a sportier, more aggressive riding position well-suited for spirited riding. Compatible with both non-ABS and ABS-equipped models. 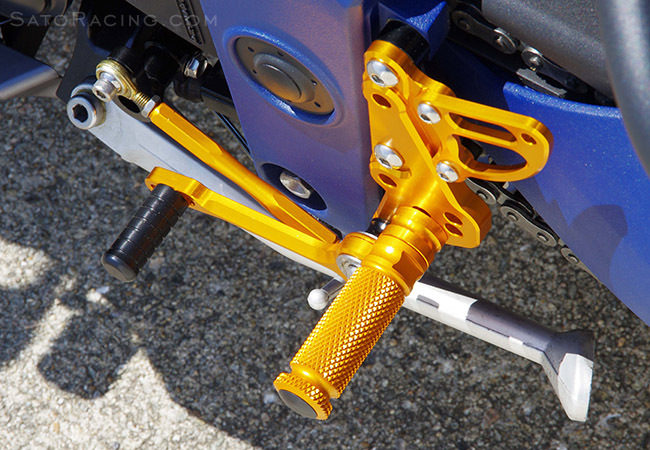 are also adjustable. 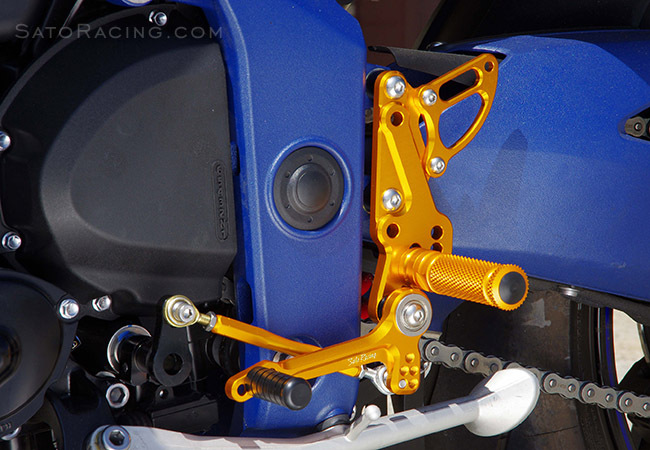 These Rear Sets are designed for use with the stock brake light switch. shift rod is connected are useful for fine-tuning the shift stroke. 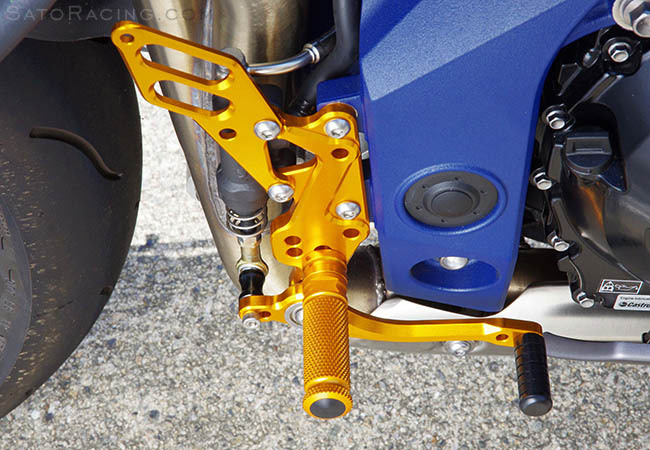 Foot Pegs are finely knurled for excellent grip characteristics and a comfortable, intuitive feel.